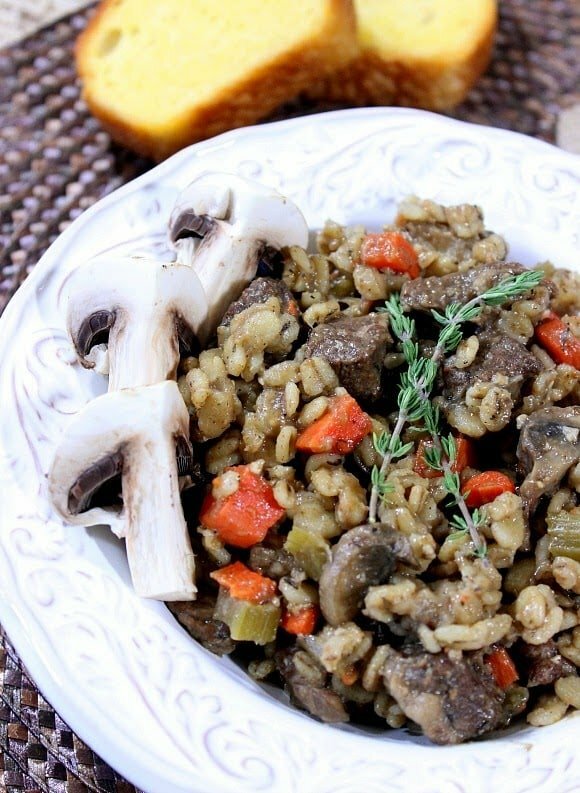 This thick and hearty Beef Barley Mushroom Stew is as good tasting as it is good for you. It’s comfort food at its finest. 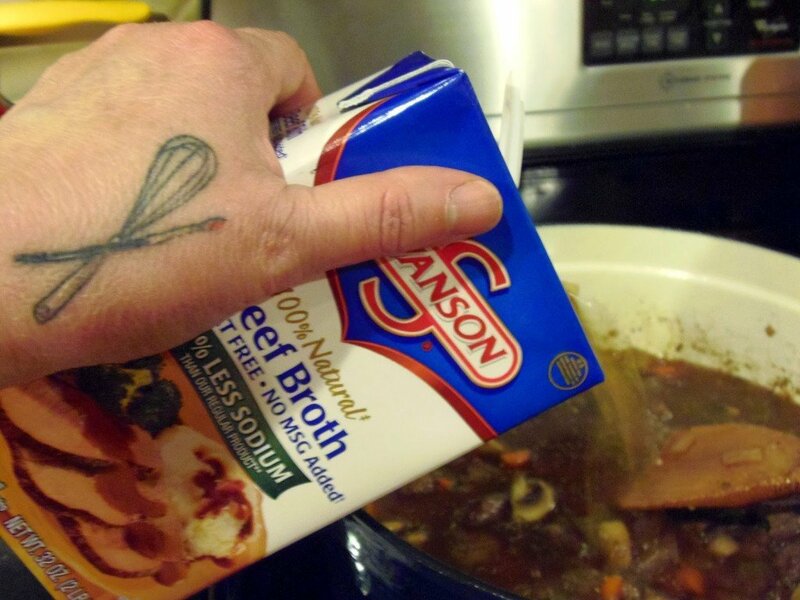 I love a good stew recipe and I typically like to share them during the cold, cold winter months. Unfortunately this post got away from me and instead of sharing it with you a month (or more) ago when I actually made it, I’ve decided I’m going to adopt the “better late than never” attitude for this recipe, and share it with you now, so you don’t miss out. After all, you can always save it to your Pinterest boards for future use…OR you can whip it up in your slow cooker this summer and have some thick, rich, healthy and hearty comfort food all without heating up your kitchen! Barley is one of my favorite ingredients to cook with. There is just something about the way that it puffs up all soft and nutty-like that grabs at my heartstrings. Pair that with tender beef chunks (the hubz’ all-time favorite protein), and meaty mushrooms that have been simmered in wine, along with bay, thyme and the trinity of aromatics (carrots, onion, and celery). Well. What more is there to say? Dinner is served. You’re going to love this stew. It’s like a big, warm hug from the inside out, and I don’t know of anyone who doesn’t need that, no matter what time of year it is! 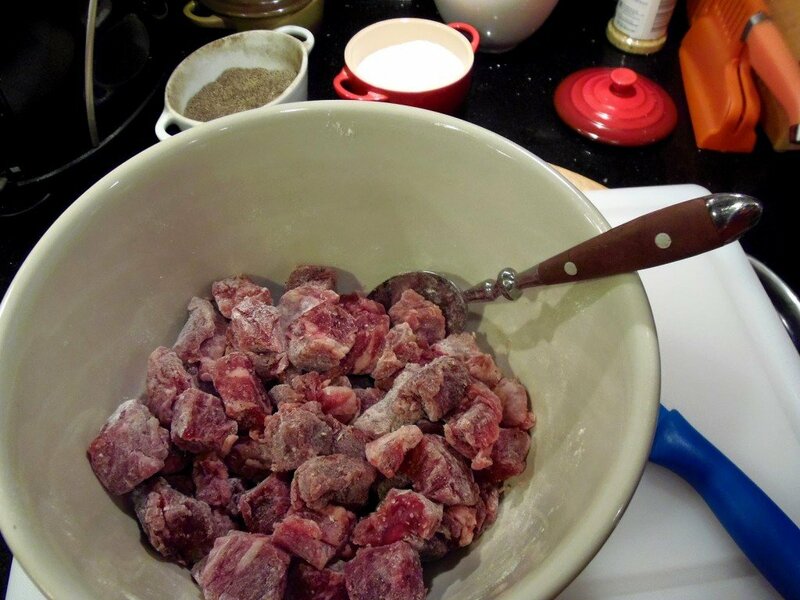 -In a large bowl, toss the beef cubes with the flour, 1 teaspoon salt and ½ teaspoon black pepper. -Heat a large Dutch oven over medium/high heat. Add 1 tablespoon olive oil and 1 tablespoon butter. Add half the beef to the pot and brown the cubes on all sides. 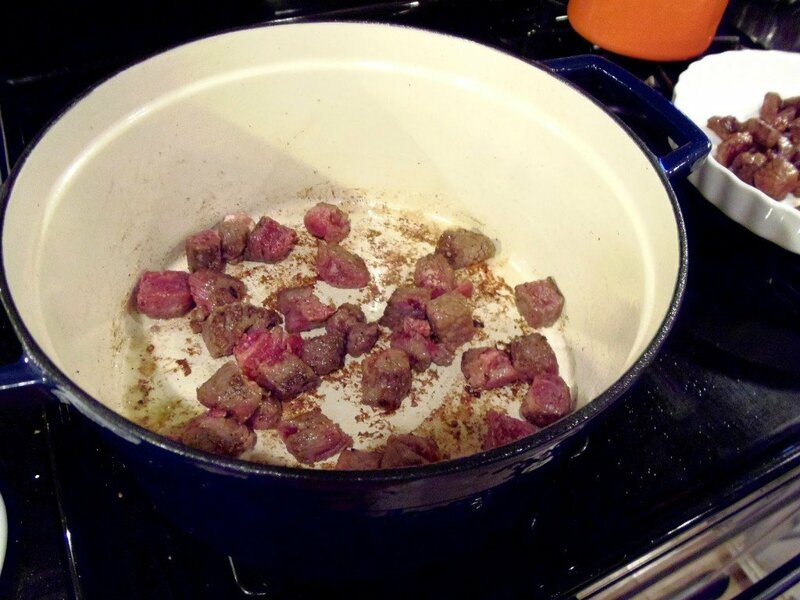 Remove the browned beef to a bowl using a slotted spoon. Repeat the same process with the remaining beef, oil, and butter. Remove all the beef to a bowl and set aside. 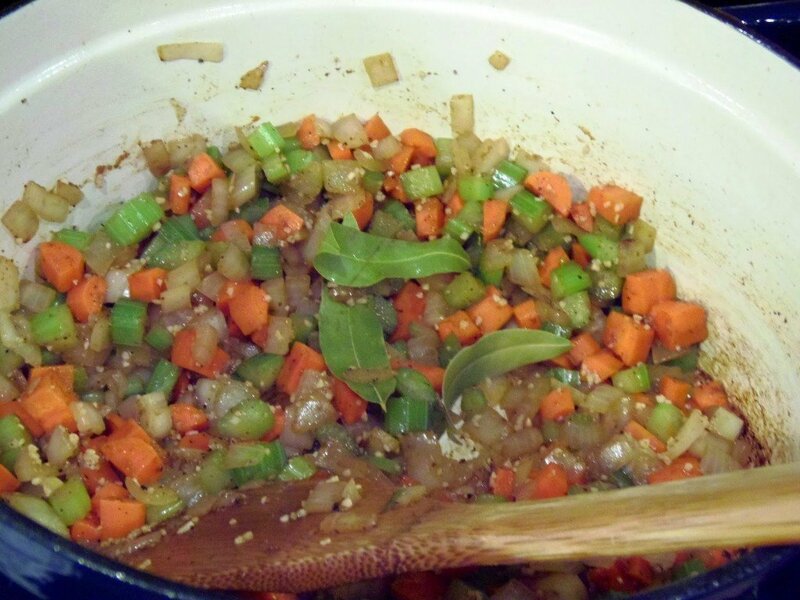 -In the same pot, over medium heat, add the onion, carrots, celery, garlic and bay leaves Season with ½ teaspoon salt and ¼ teaspoon black pepper and sweat for 3-4 minutes to slightly soften, making sure to scrape up the browned bits from the bottom of the pan. 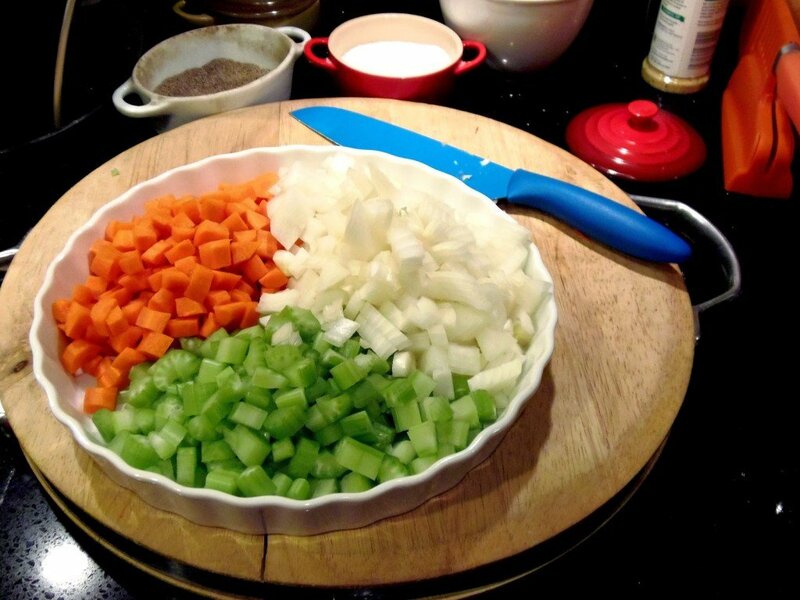 Remove the vegetables to a bowl and set aside. 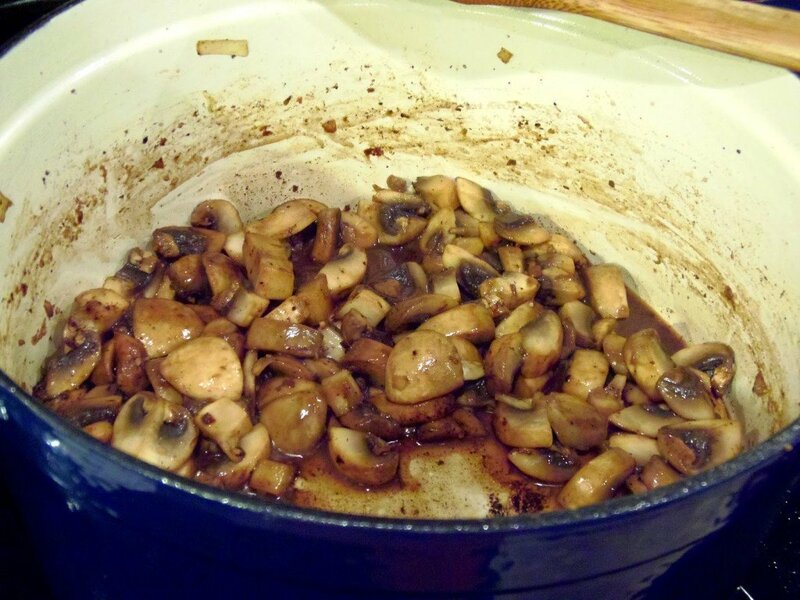 -Add 1 tablespoon butter to the pot and stir in the mushrooms. Saute 2-3 minutes and then stir in the wine, sauteed vegetables, browned beef, chicken stock, beef stock, and thyme leaves. *Note – If you’re using the slow cooker, add all the sauteed ingredients into the cooker and add the chicken stock, beef stock, and thyme leaves. Set to high and cover and cook for 2 hours. 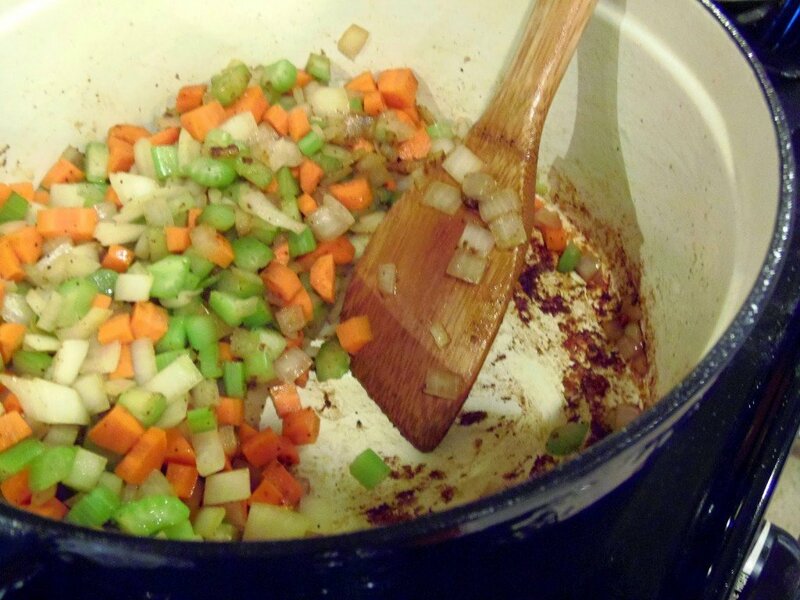 For stovetop: Cover the pot and simmer over low heat for 45-50 minutes. -Stir in the barley and 1 cup water. 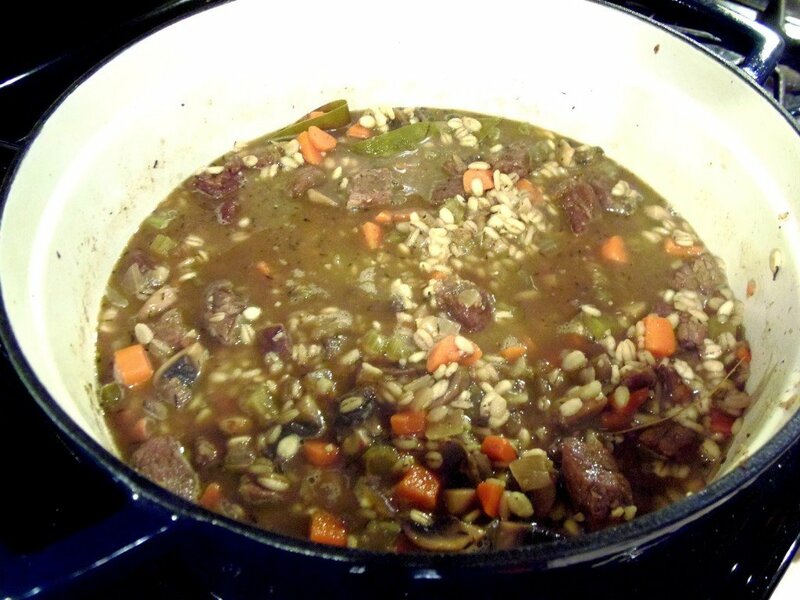 Cover again and allow the barley to cook and plump: approximately 20 minutes on the stovetop, and 40 minutes in the slow cooker. -Remove the bay leaves, ladle the stew into bowls and serve with additional fresh thyme if desired. Toss the beef with the flour. Working in two batches, brown the coated beef in a large Dutch oven. Remove the beef and set aside. Add the chopped aromatics to the same pot the beef was browned in, making sure to scrape up the browned bits from the bottom of the pan. 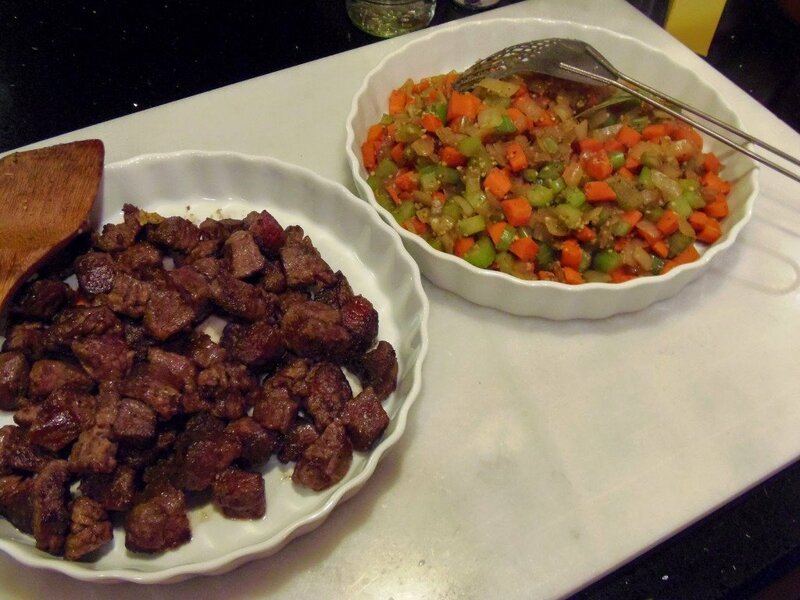 Remove the aromatics to a bowl and set aside with the beef. 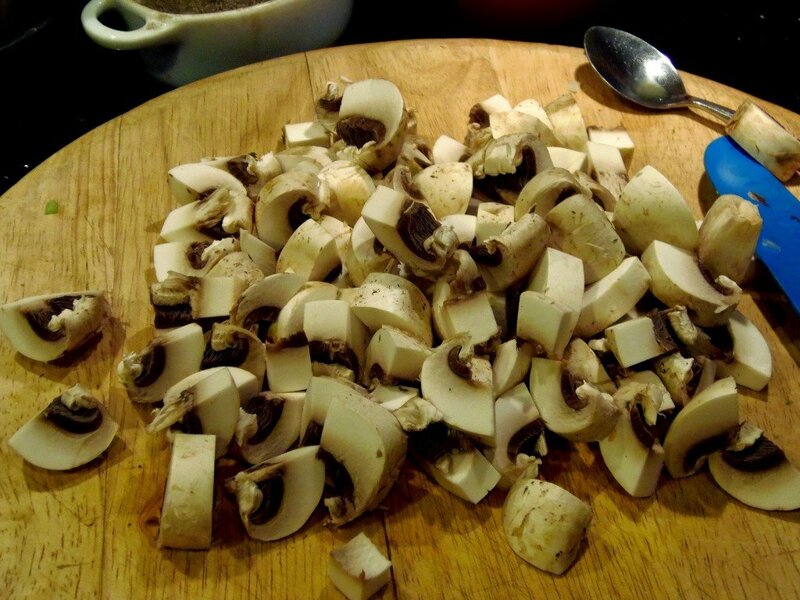 Add the mushrooms to the same pot and saute. 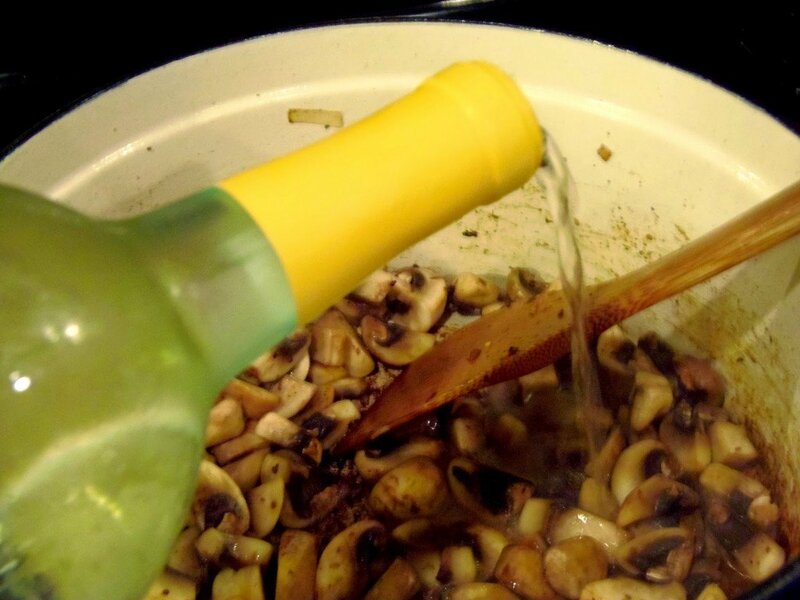 Stir in the wine and cook for 2-3 minutes. 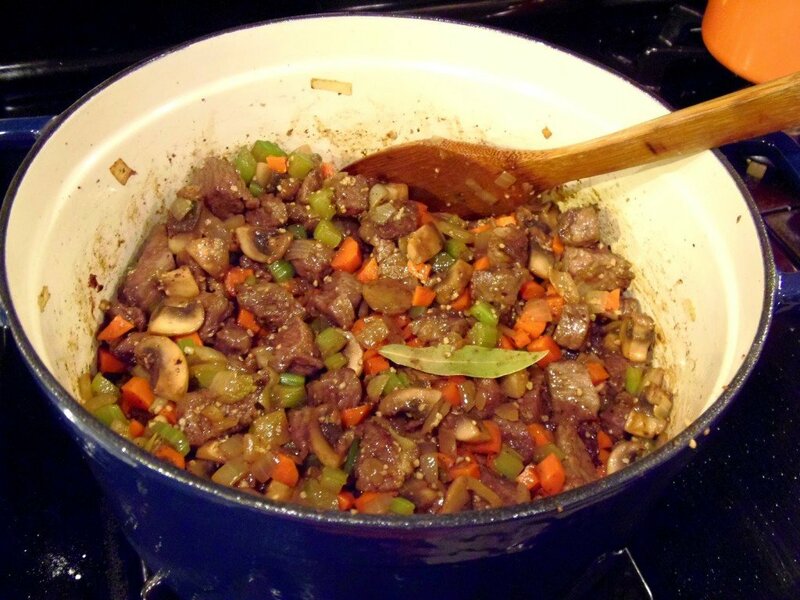 Add the vegetables back into the pot with the mushrooms and the beef. Add the chicken, beef stock and thyme leaves. Cover and simmer on low for 50 minutes. Stir in the barley and 1 cup water. 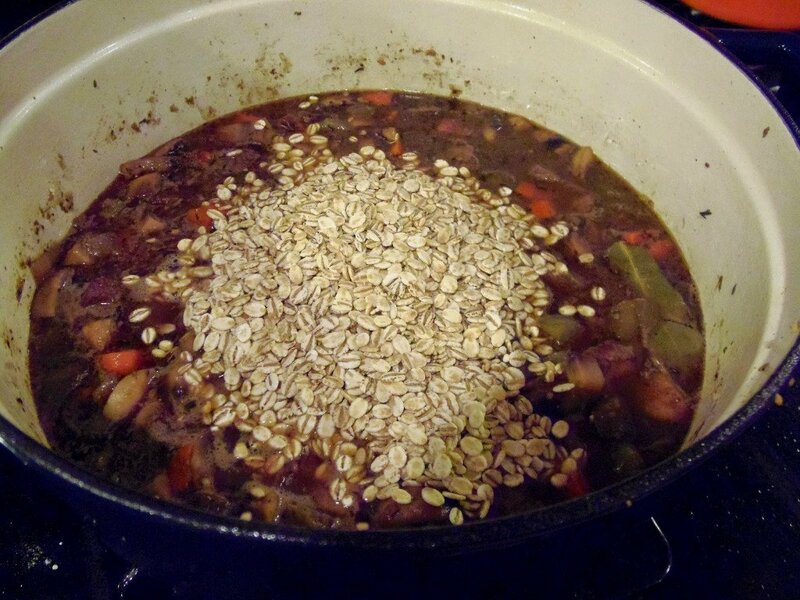 Cover and cook until the barley is plump and tender. Remove the bay leave, ladel into bowls and serve. 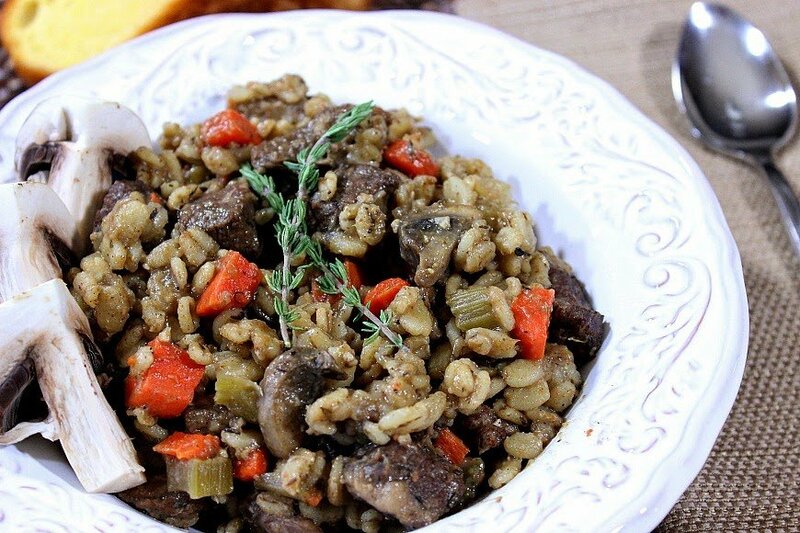 This Beef Barley Mushroom Stew is so tender and delicious, it’s just what the doctor, er, um, make that nurse, ordered. And it’s like a nice big hug after a long, hard day. This is my idea of pure comfort food! Our weather has taken a turn for the worse again so I would so love a bowl of this to warm me up. 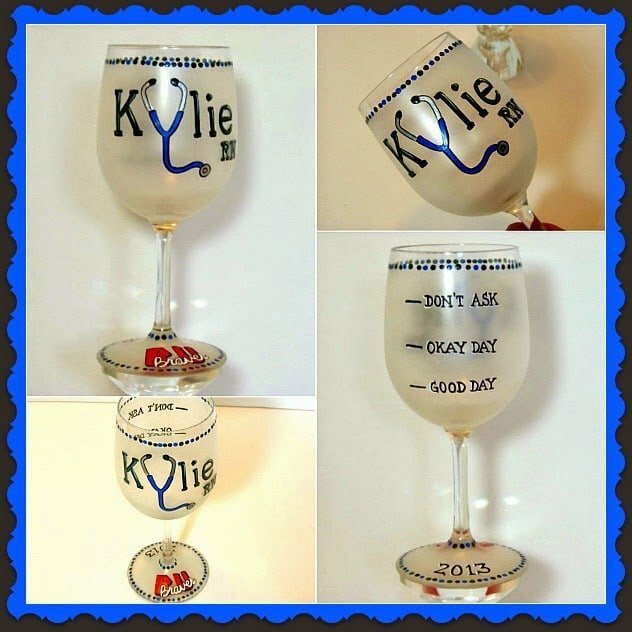 As soon as I saw this, I actually said, "Heck yeah!" out loud to myself. I can practically taste the flavors in this, Renee! Winter is taking its sweet time leaving this year, so this stew is exactly the kind of meal I've been craving lately. 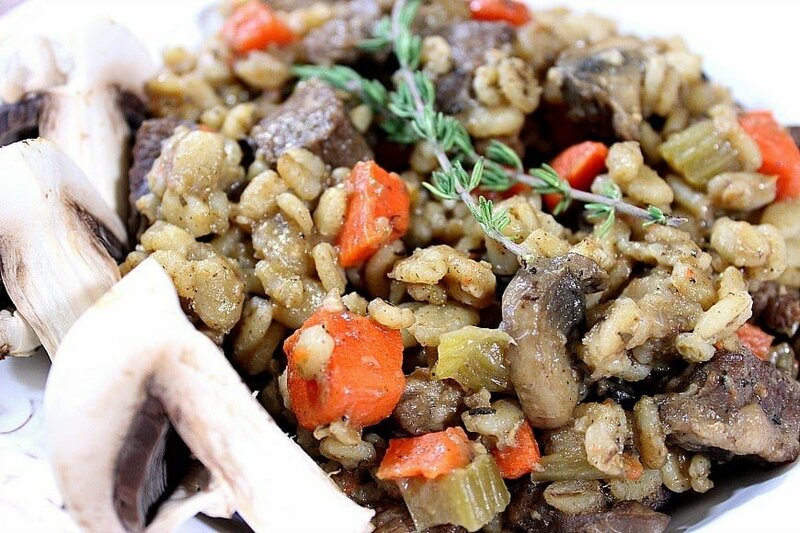 I'm loving the combination of beef and barley and mushrooms here… hearty comfort food at its best! I can eat soup (and stew) every month of the year! I love it in the summer and winter! 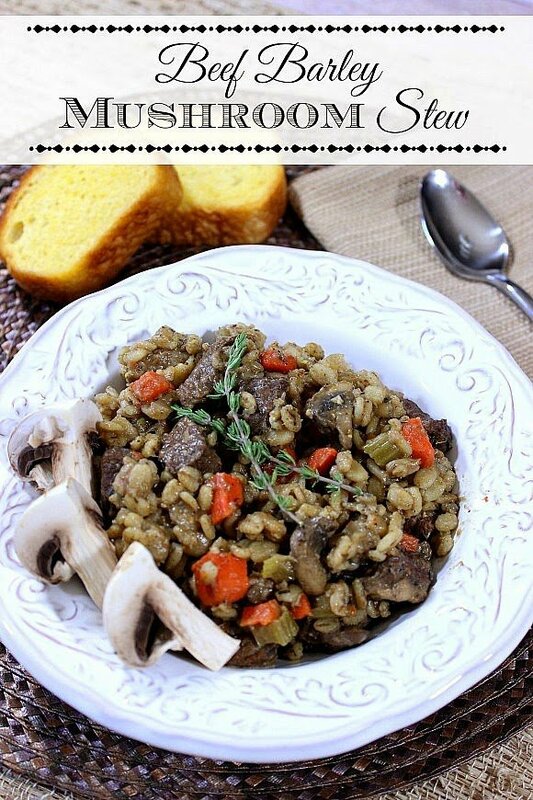 So glad you posted this because it looks like an amazing stew! 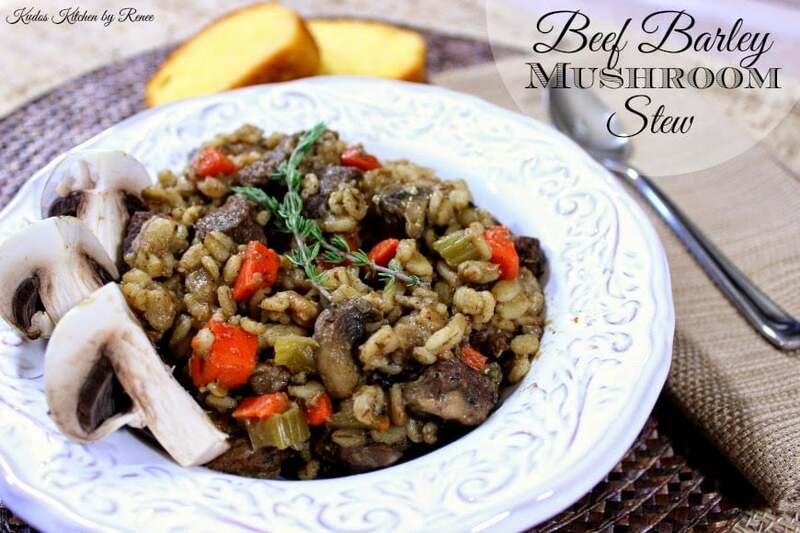 I love beef, barley and mushroom so this totally speaks to me! Plus, it's still kinda cold here! I'm a soup lover all times of the year – especially in the spring and fall. I think it's because it still gets so chilly in the morning and at night. Plus it seriously snowed today so it feels like spring will never get to NY. Love that this stew is so hearty and packed full of flavor…I want! That is the coziest heartiest soup ever! Makes me wish it was winter! What a hearty, comforting soup! That'll be great when the weather turns cold again. I love how you styled your stew! And the bowl is exceptionally lovely.